Issaquah Valley Place, located in downtown Issaquah, is a stylish three-story mixed-use building with two commercial spaces at the ground level and 14 apartments on the upper floors. Wagner Management built this building in 1995, and has managed the residential and commercial units since the building was built. Present tenants include Centered Mind Counseling Services and Studio Trend Hair Design. 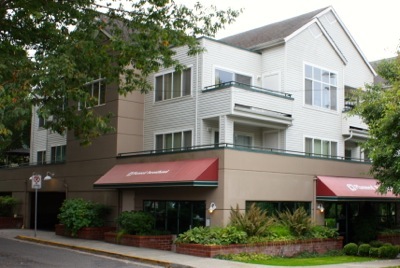 This building is located blocks from historic downtown Issaquah with a variety of restaurants and local retailers. Easy access to I-90.